To mark the conclusion of the LANDMARK project, the Senator for Finances of the State of Bremen (Germany) will today host the final LANDMARK Conference. The conference will draw on the project’s three years of experience, addressing challenges surrounding verifying social responsibility. Every day, goods arrive in Europe developed under hazardous working conditions. The EU-funded LANDMARK project has contributed to improving such conditions, aiming to ensure that goods procured are from socially responsible manufacturers. The conference will see experts examine the recently adopted EU Procurement Directives, which strengthen the use of social criteria in public tenders. In addition, a series of socially responsible tenders published by Bremen will be presented. The inaugural European Fair Cotton Procurement Awards, an initiative which recognises and rewards excellence in the sourcing of Fair Trade cotton and responsible purchasing, will also be awarded at the conference. The awards are organised under the auspices of the project “Cotton on to Fairtrade procurement”. Hospitals are simultaneously decreasing costs and enhancing their sustainability through a process which allows items marked as "single use only" to be reused. Single-use medical device reprocessing involves cleaning, testing, repackaging and sterilising medical devices labelled for one use. Reprocessed devices are cheaper, and cut down on the amount of materials sent to landfill. 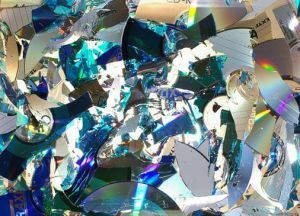 A US Government Accountability Office report concluded that properly regulated reprocessed devices are as safe and effective as original equipment. Reprocessing one to two percent of all single-use devices could save the US healthcare industry up to $2 billion in supply chain costs the Association of Medical Device Reprocessors has claimed. Reprocessed devices generally cost about half as much as newly manufactured supplies, saving hospitals a significant amount. Supplies are generally the largest expense for hospitals, with most ending up as rubbish. In the US and EU, reprocessing plants must implement strict checks and safety standards for all reprocessed devices. 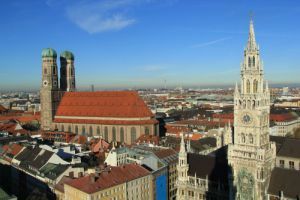 Following the city's success at the 2013 Fair Trade Capital awards, Munich City Council (Germany) has voted to increase its commitment to procuring Fair Trade products. Specifically, the city will ensure that all sports balls procured carry Fair Trade certification, guaranteeing that the balls are not manufactured using child labour or other exploitative means. Sports professionals and students carried out a number of tests on the Fair Trade balls, primarily manufactured in Asia, Africa and Latin America, to ensure that they meet the required standards. Following approval, these balls were distributed to schools across the city. Students were informed that the equipment was manufactured in a manner that respected human rights, a priority for the city council. The proportion of Fair Trade food used in schools, urban canteens and day care centres will also be increased. Over the coming years Munich intends to make its procuring processes even more sustainable, with a particular emphasis on ensuring fair working conditions for manufacturers. The Republic of Korea has seen a marked increase in the instances of Green Public Procurement thanks to the enactment of legislation to promote the purchase of eco-friendly products. In 2004, prior to the act, GPP accounted for 255 billion KRW. Today, the total stands at 1,727 billion KRW, a 6.8 fold increase. GPP accounts for five to six and a half percent of total purchases carried out by public organisations, and the number of manufacturers and certified products to choose from has risen greatly. In 2003, there were 753 green manufacturers; by 2012 the number had increased to 9,140. Similarly, the number of green certified products jumped from 306 in 2003 to 2,841 in 2012. The act has seen entire industries shift to greener methods of manufacturing. Over the last eight years, the increase in GPP has resulted in a reduction of 3.71 million tons of CO2, and the creation of 14,335 new jobs. In 2012 alone, 491,000 tonnes of CO2 were saved. 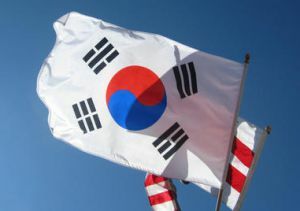 The economic benefit to South Korea in 2012 was valued at 7.4 billion KRW. 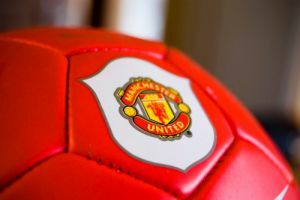 Manchester United, one of the largest and most valuable football clubs in the world, is pursuing a sustainable procurement policy, ensuring that its impact on the environment and the local community is a positive one. The club has placed a particular emphasis on sustainable catering. Wherever feasible, the British club will use local, regional and UK suppliers of goods and services, while staff will be trained to promote and deliver sustainable procurement practices. "Manchester United recognises its responsibility to ensure a safe and healthy environment and will endeavour to maintain sound environmental performance through the continued maintenance of our proactive environmental management system" said Head of Catering Stephen Cooper and Director of Venue Operations Guy Smith in a signed statement. On an annual basis, key suppliers will be asked to complete a questionnaire to verify their environmental, social and economic performance. These questionnaires will be assessed prior to the renewal of contracts. Within three years all suppliers will be expected to have improved their performance. 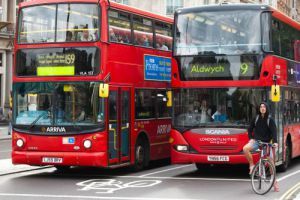 A new report aimed at public bus procurers and transport operators provides a comprehensive review of fuel and technology options for clean buses, as well as outlining innovative bus procurement solutions. Produced by the Clean Fleets project, the report, titled Clean Buses – Experiences with Fuel and Technology Options, brings together the experiences of over 100 European public authorities and transport operators. The report seeks to give an in-depth analysis with practical examples of using a range of fuel and technology types. A systematic assessment of 17 different fuel and technology options are included, covering environmental performance, market development, costs and other practical aspects. Over 40 experts, including Clean Fleets project partners, public transport operators, public authorities, research institutions, transport associations and consultants, provided input into the report. The report aims to support the work of professionals in the field of procurement. Particular emphasis is placed on individual experiences from cities, local authorities and public transport operators. Barcelona (Spain) enacted new guidelines on social and environmental criteria for procurement in the city on 15 December 2013. 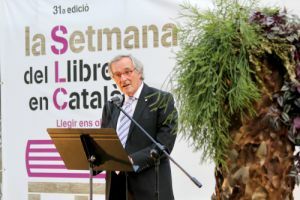 The process was set in motion after Mayor Xavier Trias signed a mayoral decree on socially and environmentally responsible procurement on 20 November 2013. Incorporation of the new criteria is mandatory for all municipal contracting authorities. Social aspects of the new rules include engaging in contracts with charities or non-profit organisations, while the environmental criteria for certain products will be defined in cooperation with the city council. 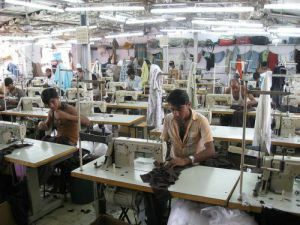 Priority for the creation of these criteria will be given to products and services such as food, energy, and vehicles. To aid awareness and implementation of the new regulations, Barcelona’s human resources department carried out training sessions for municipal staff in November. Information will also be distributed through the city’s intranet, as well as through circulars and instruction manuals. Green public procurement (GPP) can play a leading role in waste reduction, a recent German study has found. Stipulating that manufacturers must produce goods in an environmentally friendly manner at the contracting stage can lead to greater resource efficiency, less waste produced and improved recyclability of products. The study set out to measure waste prevention through eco-innovation in production and consumption. To improve the uptake of green procurement, the study recommends addressing key barriers, such as legal uncertainties around procuring innovative goods and services, and a lack of relevant technical experience in purchasing organisations. This can be overcome, it is suggested, through the provision of publicly-available specifications and guidelines for green alternatives, and the enacting of a framework that includes waste prevention as a key requirement of GPP. One important factor in the generation of waste is consumers' attitudes towards products as disposable. Clothes, which are subject to fashion trends, and electronics goods, which are quickly rendered obsolete, are cited by the researchers as examples of readily discarded goods.